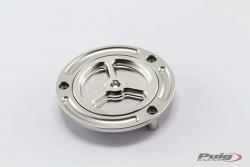 PUIG Race fuel cap made in billet aluminium. Our race fuel caps machined from a aluminium billet have been designed to fulfill two base premises for us: functionality and safety. 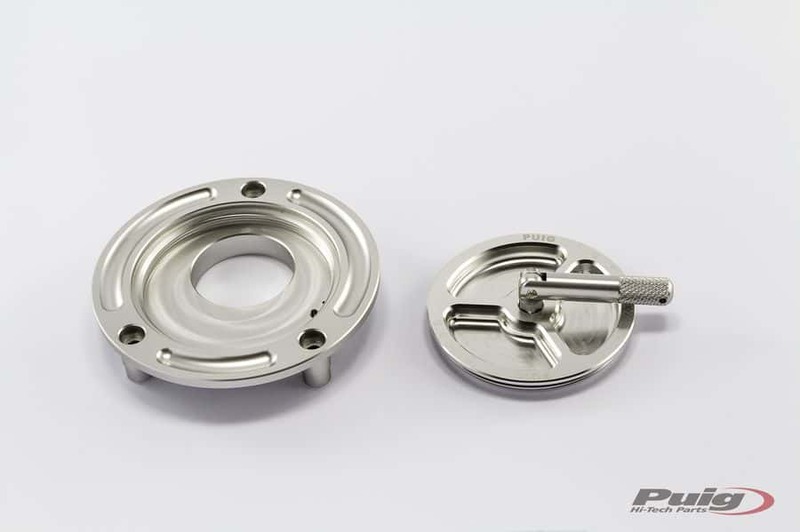 The cap incorporates a track homologated closing system, and the seals are made of rubber for complete sealing. We provided a wrench to secure the cap.